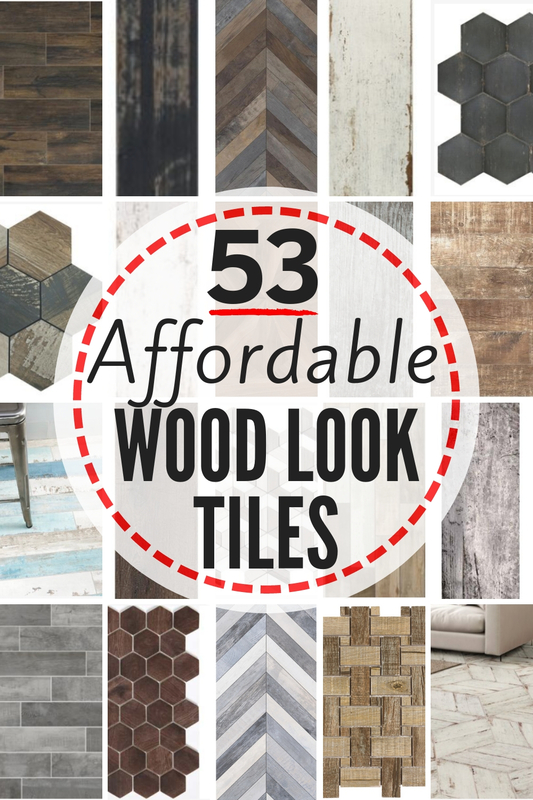 Have you considered using tile that looks like wood in your home? 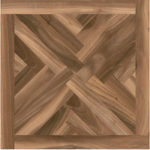 Using wood look tile has been popular for several years now. It’s a trend that is definitely still on the upswing. And we think there are many great reasons this is true. porcelain versus ceramic? which should I choose? Wood look tile is exactly what it sounds like. 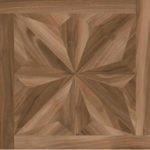 It is either a ceramic or porcelain tile that has been imprinted with an image of wood graining. Some wood look tiles are smooth to the touch, but others are textured a bit to improve the realistic look of wood. Is it a good idea to choose wooden tiles in my house? How do you decide whether faux wood tile is a good option in your own home? The first thing to consider is what space you’re thinking of using this type of tile, and what type of use the space gets. Like any flooring, faux wood tile has its own set of pros and cons. So let’s discuss both. 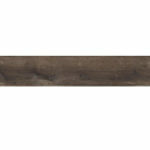 PRO #1: Wood Look Tile is very dense & durable. 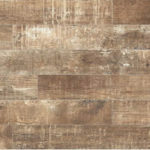 Porcelain wood tiles work great in high foot traffic areas, and areas where cleanability and durability are important. Faux wood tiling is not only a super affordable type of floor, but it’s very easy to clean and holds up to a lot of heavy use. If you have pets, wood tile is a great option, too. It will not scratch as easily as hardwoods, and porcelain, especially, will not absorb and stain from pet urine as hardwood and carpet will. 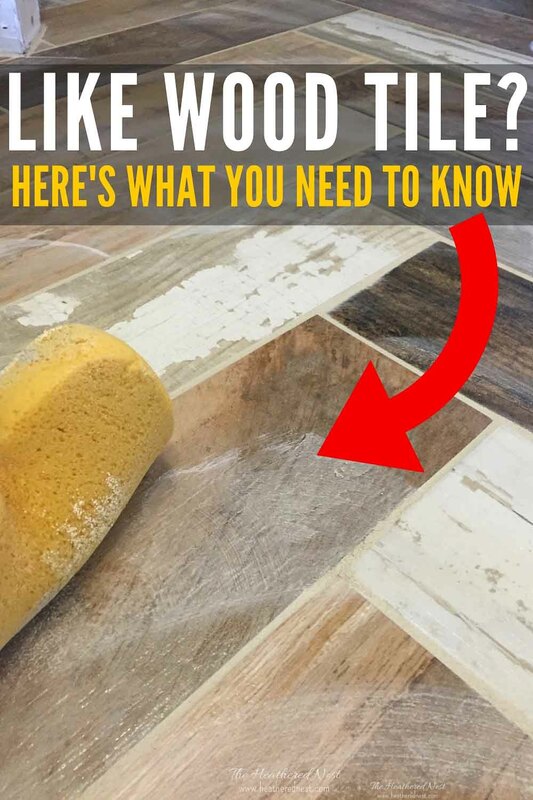 Whereas both hardwood and carpet will show significant wear and tear over a 10-year period, wood grain tile will still look new after 10-years has elapsed. PRO #2: Wood Look Tile is easy to clean. We used it in our kids’ bathroom and have been thrilled with how it has held up. This tile gets water on it, has gone through potty-training several children 😳, has weathered dirty feet, and spills of various kinds…and five years later, it looks identical to the way it looked the day it was installed. Because of the cleanability, porcelain wood tile and/or ceramic wood tile can be a great choice for people with allergies. 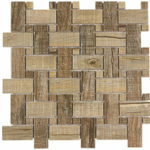 PRO #3: Wood Look Tile is very affordable. Compared to other flooring types, both porcelain and ceramic wood tile is a very affordable option. We’ll discuss this more below. PRO #4: Wood Grain Tile is resistant or impervious to water. While hardwood and carpet would be awful flooring choices in a bathroom due to the exposure to moisture, tile, and especially porcelain tile is an excellent option in this scenario. Porcelain tile is considered impervious to water, making it the best option for bathroom flooring in this regard. 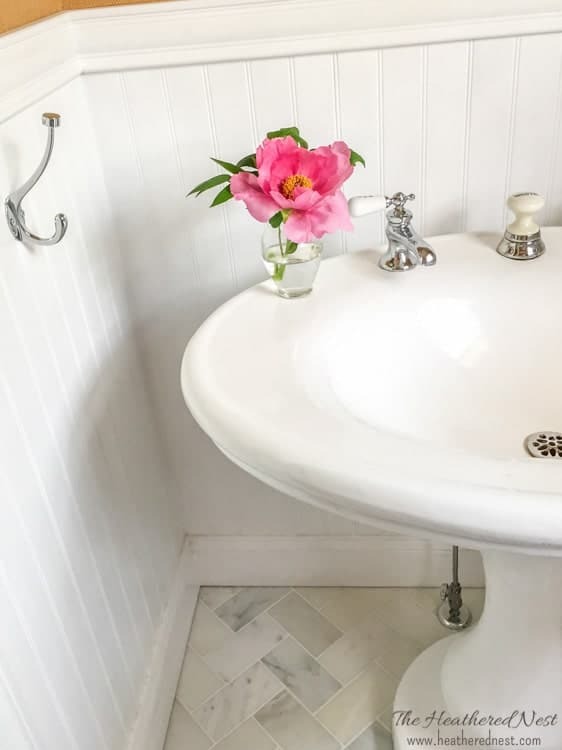 Ceramic tile and natural stone tiles (marble, slate, etc) are a close second as these tile types do absorb some water, but with proper sealing, they are also quite water resistant making them good choices in a bathroom, as well. CON #1: Tile (in general) is cold to walk on. Unless you have a heating system installed under your tile floor, it can be a very cold flooring type to walk on when compared to hardwood and carpet. For this reason, it’s not always a popular choice for spaces like bedrooms and living rooms, where hardwood or carpet is often the flooring of choice. That said, being cool underfoot could certainly also be considered a “pro” depending on the climate where you live! CON #2: Wood Look Tile isn’t as easy to install as some other flooring types. Compared to carpet and vinyl especially, tile is harder to install. This is true for ALL types of tile, not just wood look tile. It requires a special tile saw, mortar, grout, etc. Whereas installation of carpet is more or less a one-step process (roll it out and staple it down), as is laying of vinyl flooring or vinyl plank tile (glue it down installation of tile is a more time consuming and labor intensive process. Pssst…remember! Don’t leave here empty handed! Sign up as a VIP now, and we’ll send you instant access to The Ultimate Tiling Guide! 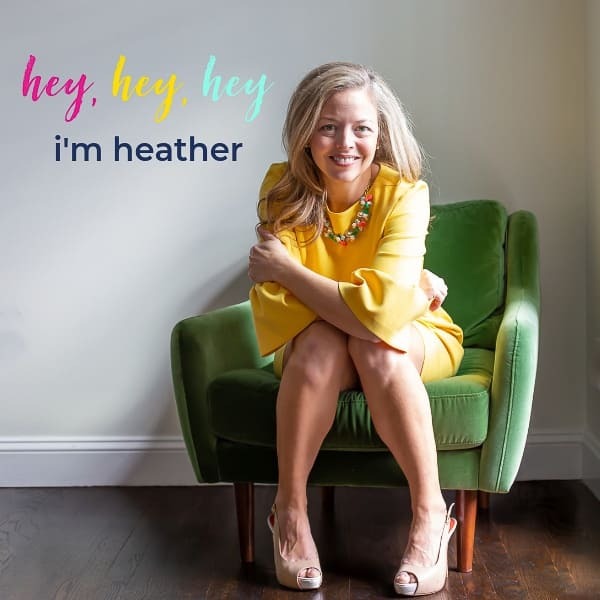 It’s free to join, simply click below now ⤵️& your access will be sent via email immediately! 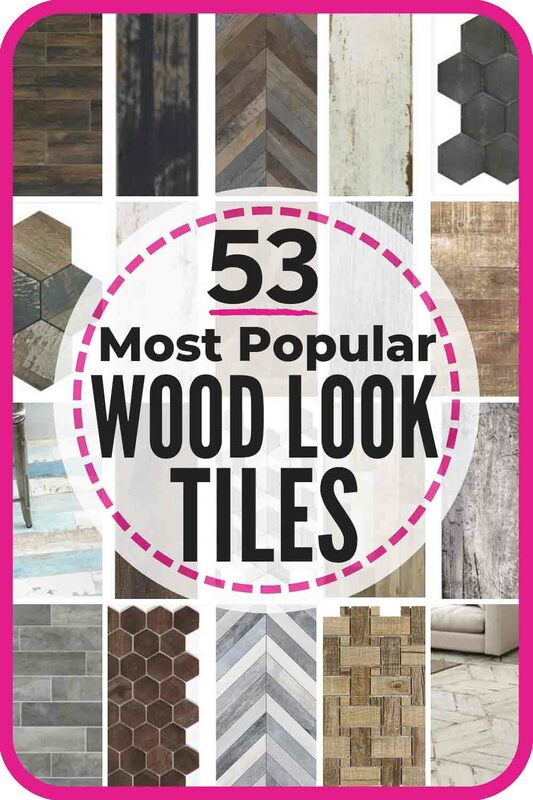 Which rooms in the house is wood tile most popular? Least popular? A majority of faux wood tile made from porcelain rather than ceramic. This is because porcelain is more adaptable for a variety of applications. 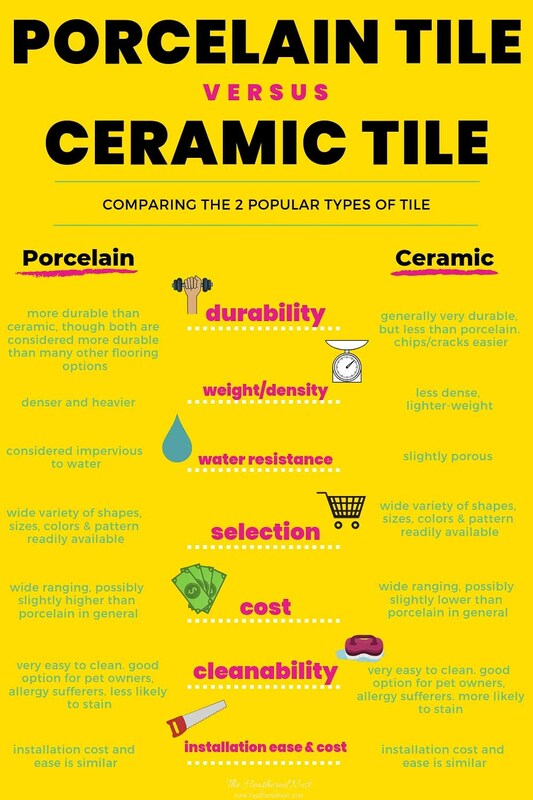 Consider the following infographic below for a general comparison of the two types of tile. While ceramic tile will absorb a small amount of water, porcelain is generally considered impervious to water. Porcelain is also a denser, more durable type of tile as compared to ceramic. In general, if given the choice between ceramic and porcelain for a flooring situation, especially in a high traffic area that gets a lot of hard use…choose porcelain. 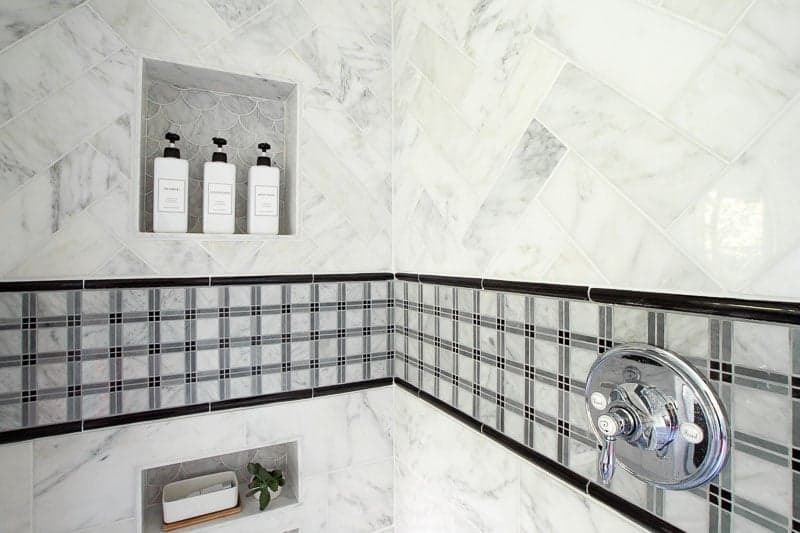 For wall tile applications, ceramic tile is a great option. 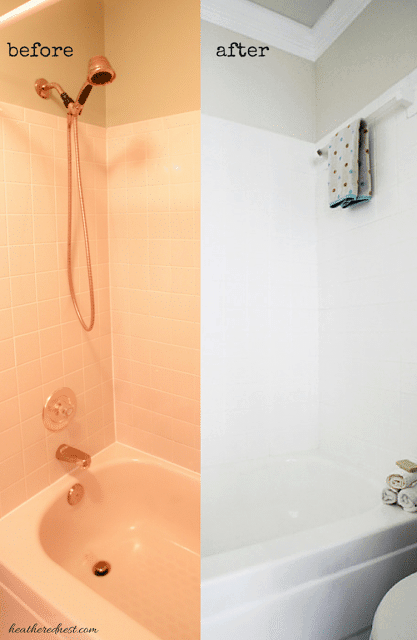 The only caveat to that would be using ceramic tile in a high moisture area, such as a shower enclosure. Though people do use ceramic tiles in bathrooms all the time, if all things are equal and there is a similar porcelain option, it is best to choose porcelain given the more porous nature of ceramic tiles. If you’ve been on the fence about installing wood look tiles, then the cost may be what finally pushes you to YES. Flooring can be expensive, for sure. 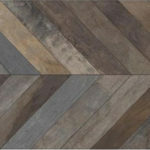 But in terms of the flooring cost hierarchy, wood look tiles are among the most inexpensive options, for sure. As with all flooring options, there is a wide range in cost between different wood grain tiles. 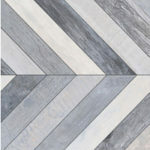 In general, though, most of the faux tile flooring options I am sharing and recommending in this post range between $2 – 8/sq. foot. The lower end of that range is what you would expect to pay for a linoleum or laminate floor. The upper end of that range could buy you certain types of natural stone tile or hardwood. 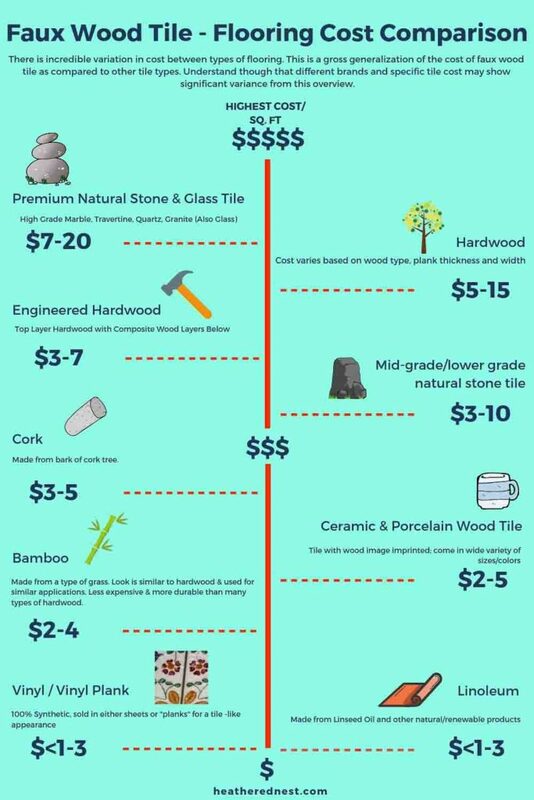 For $2-$5/square foot, you’ll find an impressive array of beautiful ceramic wood tiles and porcelain wood tiles that you could purchase, while your selection of flooring options for other materials, like natural stone and hardwood will be significantly fewer in this price bracket. 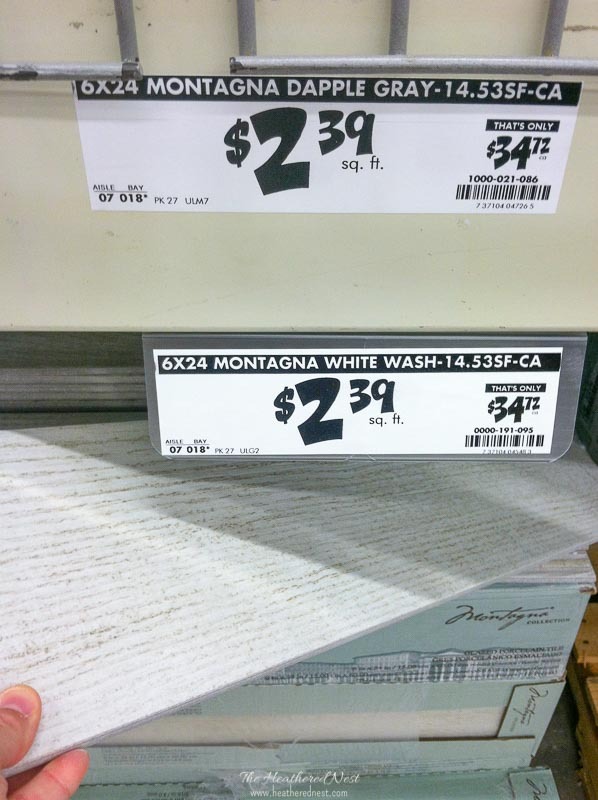 I’ve done a lot of shopping for faux wood tile. 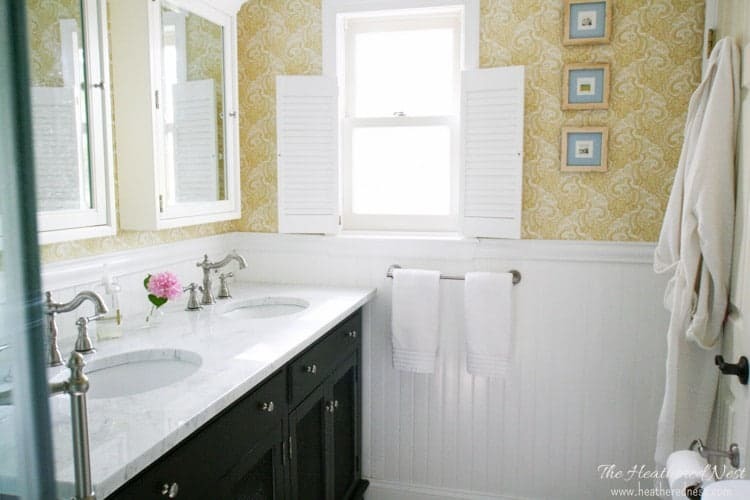 I have several go-to places to shop for this type of tile. 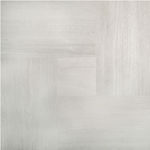 I’ve gathered my favorite porcelain wood tile options (and a few ceramic wood tile options as well) to share with you. I hope that this helps you cut down on the time it takes you to shop for your own flooring or wall tile. Believe me, I know that can be a LENGTHY, time-sucking project! 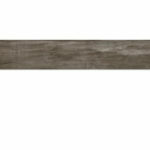 To learn more about any of these wood grain tile options, simply click on the photo of the tile you like. 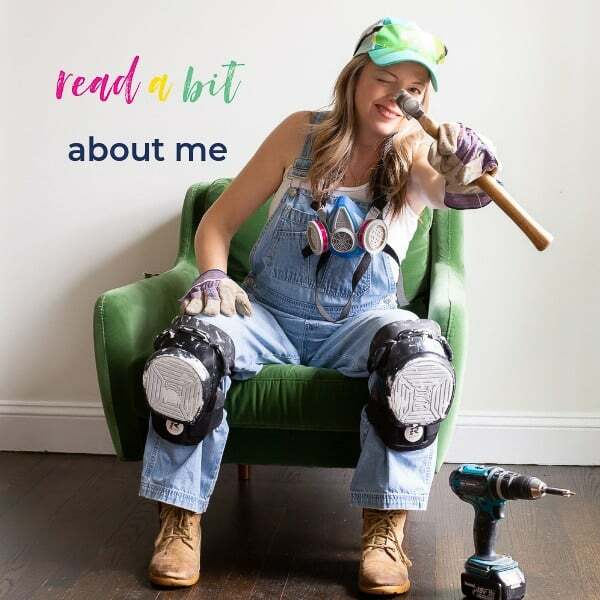 Don’t forget to sign up our weekly DIY & home decorating newsletter! As a bonus for subscribing, I’ll send you our Ultimate Tiling Resource Guide…right now!! Click below to grab your guide ⤵️! It can be hard to visualize how a certain tile will look in your home when you browse aisles at a tile store and are just looking at one piece of tile. Here are some examples of homes with wood look tile both being installed and installed, to help you visualize whether the look of these tiles that look like wood planks are going to work well in your own home. I pin lots of faux wood tile inspiration on our flooring dedicated Pinterest board, so check that out and follow me on Pinterest if you want even more ideas. We purchased and installed this beautiful wood tile with a great deal of color and wood grain variation for our kids’ bathroom renovation years back. We chose it because we needed a tile that would stand up to heavy use (or even abuse) in a bathroom that serves three small children. 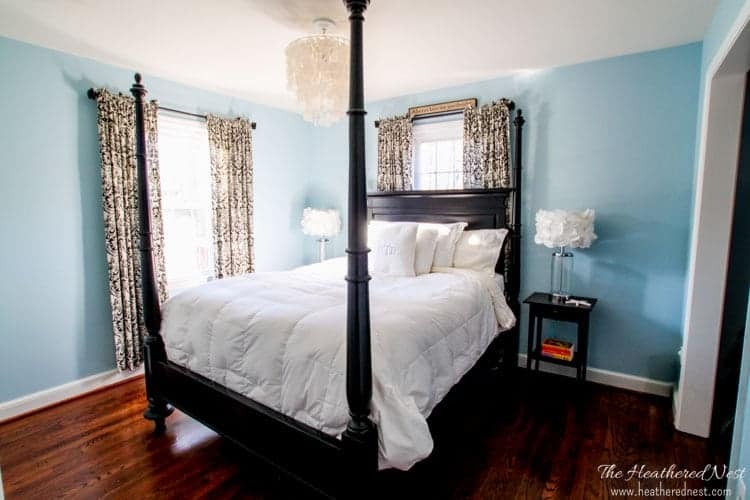 Plus, we wanted to keep our entire renovation budget below $2000. Purchasing this tile was one of the biggest reasons we were able to stay within budget. Five years later, the tile still looks as good as the day it was installed. We are DEFINITELY happy with the choice to go with this porcelain wood look tile in this room! 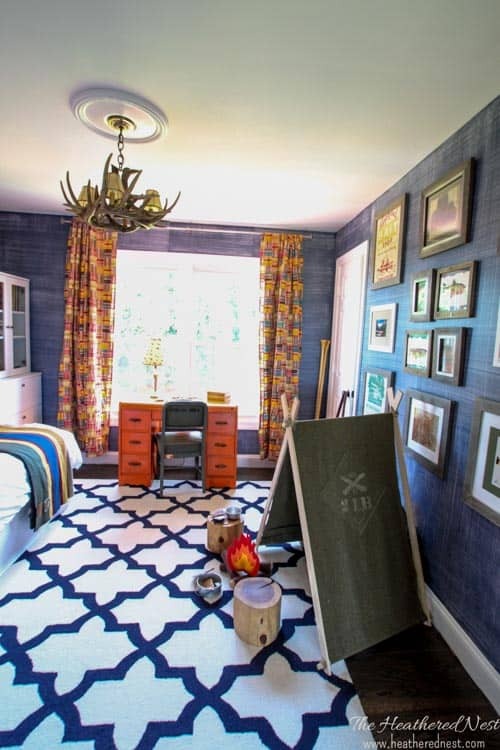 A gutsy design choice that I personally think is a home run! Plus, integrating these two types of tile…a more pricey natural stone tile, in this case, marble, with a less expensive porcelain wood tile can be a big cost saver. You can see the texture in this particular wood porcelain tile made to mimic hand-scraped hardwood flooring. Even though tile is generally considered cold underfoot, in warmer climates, that can be a benefit! Since wood tile is easy to clean, beautiful and affordable, a case can be made to use it in almost any room of the house. 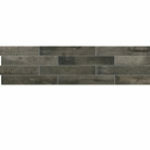 One great thing about woodgrain look tile is that it is available in such a wide variety of colors ranging from white to all shades of browns to blues, pinks and through black. Multiple shades of wood tile flooring can be used in the same space to provide contrast and interest, as seen in the design below. 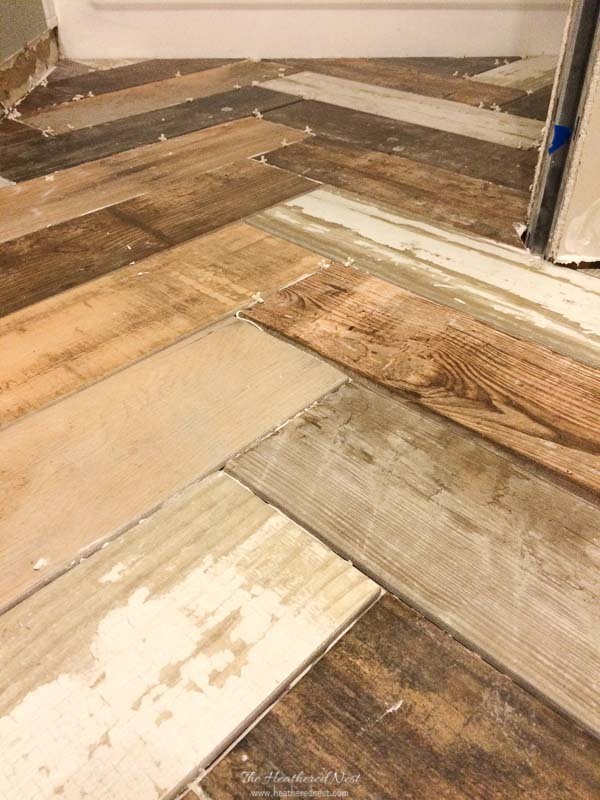 Here you can see faux wood tile being laid in two different patterns that abut one another in the same home. 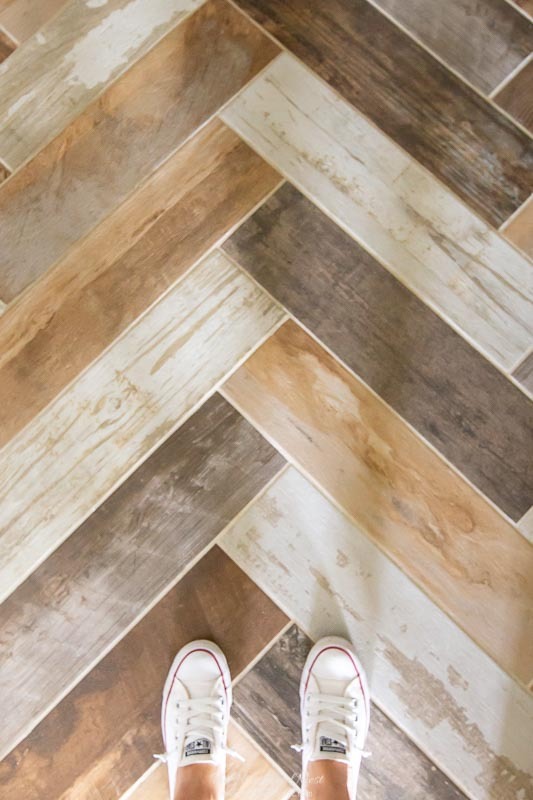 A great way to keep a consistent look of flooring in the home while adding visual interest and distinction to the separate spaces. Here you can see faux wood tile before they’ve been grouted. The white things toward the right of the image are the spacers used when laying tile to ensure each tile is spaced the correct distance from adjacent tiles. Laying tile is a multi-step process. Here you can see a brief snapshot of what grouting wood grain tile looks like. It’s not a difficult job to DIY, but it is messy and time consuming for sure. If you love the farmhouse look, I can’t imagine a more beautiful, or affordable tile option for a bathroom than porcelain wood look tile. Below, the tile has been laid in a crosshatch pattern. Pin this post for later! And if this post has been helpful to you, or you decide to buy some porcelain wood tile, leave a comment (or better yet, a photo) on the pin! 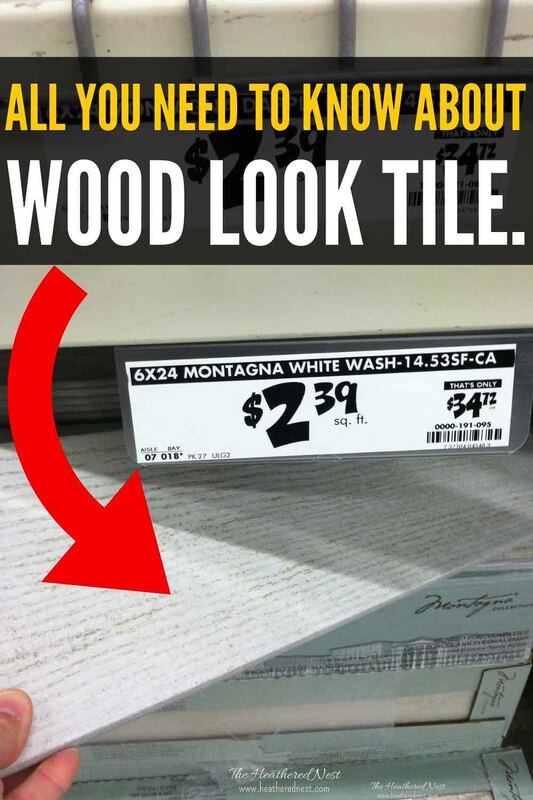 That helps others know whether they should consider faux wood tile, too! I really like the faux wood flooring. I would definitely put it in my home.